There’s been a huge shift in the types of blog posts that I see now. There’s so many blogging orientated tips for newbies, for working with brands, media kits and SEO. I personally love reading these tyes of posts as I feel there’s always new things to be learnt especially when it comes to SEO and rules and regulations surrounding PR and disclaimers. However, looking over at the popular posts section on Bloglovin you will see a large amount of posts dedicated to improving your blog and providing knowledge on subjects that you may be unsure about in the blogging world. I have seen in the last few years a huge increase in these types of posts, even I do many myself and particularly enjoy writing them. There informative to read and beyond helpful when I'm trying to improve certain aspects of my blog. I really welcome this shift in posts. Singular beauty reviews are not as popular as they used to be, although beauty posts/blogs are still as popular as ever they are more round up posts, for example '5 Products You Need This Autumn', Hauls or dupe products posts. There is such most variety now days in the types of posts you can read and I find that many beauty blogs are not just solely beauty blogs anymore. When I started blogging, I didn’t use bloglovin at all. I was late to the game and therefore, late to building a following on that platform. It was all about Google Friend Connect for me and it was what I used to follow other people's blogs and what they could use to follow mine. You essentially ‘connected’ with someone else’s blog, which really means you followed them and their post came up on your dashboard. Not very technical and I personally don’t think it was very user-friendly (after I tried out bloglovin anyway), however, it was my go to and I loved it. I don’t miss it though. Bloglovin is too easy, sleek and straightforward to use. It makes it easy for anyone to follow your blog with an account without the hassle of signing up through google. GFC is like the dream matte mouse of blogging; loved by many and it will never be forgotten. As a social media network, Instagram has been killing it the last few years (until recently, why Instagram why?!). There are instagrammers all over the world that solely make their income on Instagram and #Ads. Due to Instagram being one of the most logged in apps in the world, it’s no surprise there’s potentially a huge audience you can reach and money to be made. I didn’t start blogging many moons ago, but in the 3 years that I have been blogging, I have definitely seen a huge emphasis on Instagram and the power that this social media app has. For one, they have recently introduced ‘business pages’ so that individuals and businesses can be directly contacted through their Instagram page. If that's not a strong indicator the power of business that can come through Instagram then I don’t know what is. When I started blogging, I very rarely saw ‘click for items details’ where essentially you can buy makeup and clothing directly through an app. To be honest, I don’t know how new this is, but I can’t remember seeing much of it when I started blogging. Instagram can be a huge money maker for some, so why wouldn’t you use it to your full potential and monetise it immediately? I’d go as far as saying we’re at our peak for people buying followers. Not only with bloggers but brands more often than you think are doing it too. As more and more followers are bought daily on different platforms (bloglovin, Instagram, twitter etc) PR and brands are more clued up than ever about what to look out for. Working in digital marketing, it is a numbers game. As much as people would like it to be quality over quantity, it simply isn’t. Brands want to get their product noticed and purchased, so the majority of the time they want to work with the bloggers that they know will have a lot of traffic coming to their blog. Although we have a criteria of numbers that a blogger has to reach, even if they reach that number it doesn’t necessarily mean that’s our person. Due to the rise of buying followers, engagement is more important than ever. If you have the right amount of numbers that a client is looking for, we then have to check your posts (blog & Instagram mainly) to check if the number of followers it says you have matches up to the amount of engagement. I firmly believe there's been a massive shift in what is more important when it comes to blogging (numbers or engagement) and I do think that engagement is the firm winner. 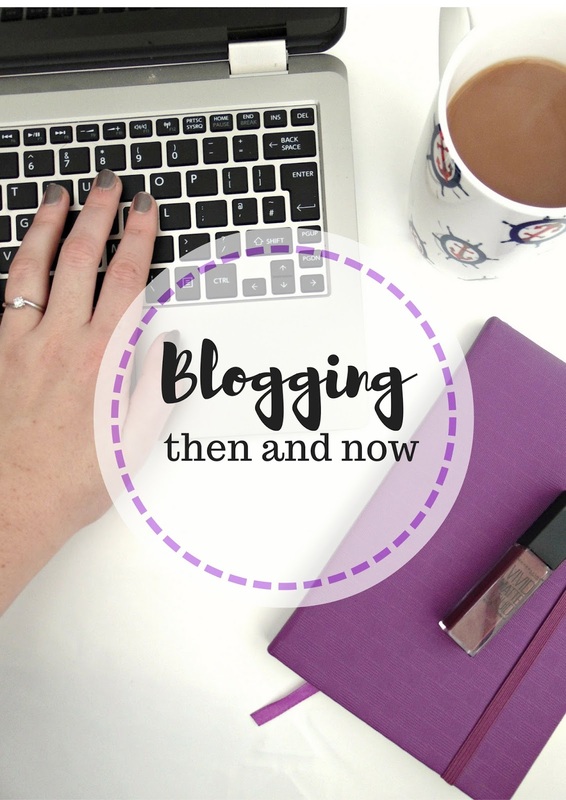 What changes have you seen in blogging over the years?